Shortly afterwards the forty-seven acres so enclosed became known as Westwood Coppice, no doubt it was intended it to be the “coppice with standards” type of woodland thought to be most profitable at the time. But was it planted with sweet chestnuts for coppicing and oak for timber? When one of the seven Hays, Holly Hurst, was harvested in 1765, it yielded no timber but abundant coppice wood - presumably the standard trees were not yet mature. 316 cords of coal wood were sold for £252/16/- at 16/- a cord (a cord was a pile of logs four feet by four feet by eight feet, and the logs were destined to be converted to charcoal in kilns at the buyer’s works). The bark from the trees sold for £82, to be used in the process of tanning leather, suggesting that the coppiced trees were oak. In view of this recent successful harvesting of an oak coppice, a similar oak coppice was intended in 1771. However, the market for woodland products was changing as coke replaced charcoal as the preferred fuel for furnaces and coal the preferred domestic fuel. 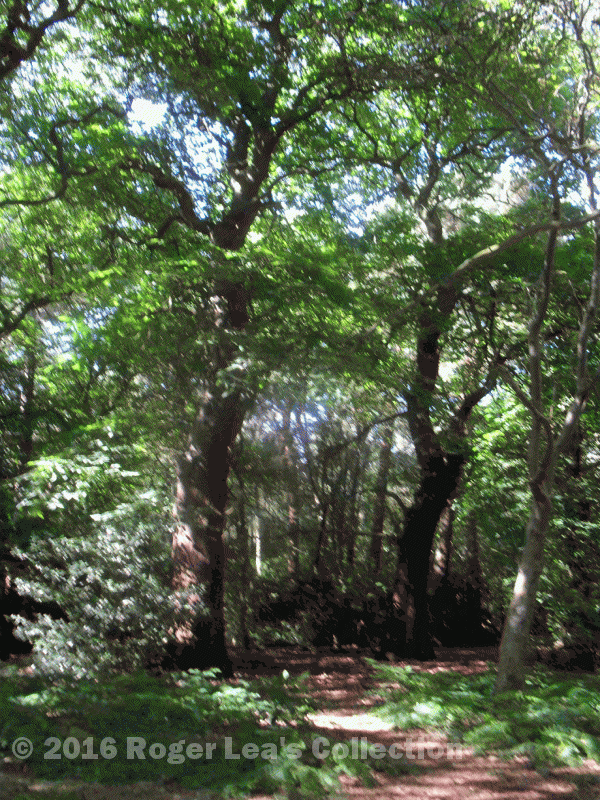 Perhaps the seedling trees planted in Westwood Coppice in 1778 were sweet chestnut for coppicing and oak for timber, the two native trees still to be found there. The great landowners who were members of the Corporation at the time, Sir Charles Holt of Aston, Sir Robert Lawley of Canwell, and the Hackets of Moxhull and Moor Hall were all keen tree-planters and would be aware of up-to-date trends. In the event, Westwood Coppice was not maintained as a coppice for very long. The Corporation was accused of misusing the income from sales of timber, and in 1788 some local men petitioned the Court of Chancery to make the Warden and Society act in accordance with the terms of the town charter. The court moved slowly, in 1792 it forbade the felling for sale of any trees in Sutton Park, an injunction not lifted until 1824. This disrupted the routine harvesting of the coppices every few years; the huge chestnut trees to be found in Westwood Coppice today show that no coppicing has occurred for over 150 years.